Amikacin liposome inhalation suspension plus guideline-based antibiotic therapy is effective in patients with treatment-refractory Mycobacterium avium complex lung disease. This article is part of Pulmonology Advisor‘s coverage of the CHEST 2018 meeting, taking place in San Antonio, Texas. Our staff will report on medical research related to COPD, critical care medicine, and more conducted by experts in the field. Check back regularly for more news from CHEST 2018. SAN ANTONIO — Amikacin liposome inhalation suspension (ALIS) plus guideline-based antibiotic therapy is effective in patients with lung disease caused by Mycobacterium avium complex (MAC), according to findings presented at the CHEST Annual Meeting, held October 6 to 10, 2018, in San Antonio, Texas. Researchers sought to determine the interim safety and efficacy outcomes of the INS-312 CONVERT open-label extension study (ClinicalTrials.gov Identifier: NCT02628600). In the original CONVERT (Study to Evaluate Efficacy of LAI When Added to Multi-Drug Regimen Compared With Multi-Drug Regimen Alone; ClinicalTrials.gov Identifier: NCT02344004) study, patients were randomly assigned to receive ALIS plus guideline-based antibiotic therapy or antibiotic therapy alone; ALIS was administered once daily with an investigational eFlow nebulizer. Patients were considered “culture converted” if they had 3 consecutive monthly MAC-negative sputum cultures. In the extension study, patients who did not convert who were receiving ALIS plus guideline-based antibiotic therapy for 12 additional months, and patients receiving antibiotics alone, were transferred to ALIS plus guideline-based antibiotic therapy for 12 months. Outcomes included sputum culture conversion, time to culture conversion, and safety. A total of 133 participants from CONVERT were enrolled into the extension study (n=59 from the ALIS plus antibiotic group and n=74 from the antibiotic-alone group). Within 6 months, 23.0% of patients who had received add-on ALIS experienced culture conversion; 5.1% of patients who were continuing the ALIS plus antibiotic therapy regimen also experienced culture conversion. The mean time to conversion was 2.9 months in patients with add-on ALIS. In terms of safety outcomes, 84.2% of patients experienced ≥1 treatment-emergent adverse event (TEAE). TEAEs with a maximum severity of mild or moderate occurred in 63.1% of patients. The most common TEAEs were respiratory; 81.1% of patients who initiated add-on ALIS and 30.5% of patients continuing the ALIS plus antibiotic therapy reported such TEAEs. Serious TEAEs to the point of withdrawal were more frequent in the patients adding ALIS to the antibiotic therapy compared with patients who were continuing the ALIS plus antibiotic therapy regimen from CONVERT (12.2% vs 1.7%). A total of 3 patients from the ALIS plus antibiotic therapy group died from respiratory AEs that were not considered related to ALIS. 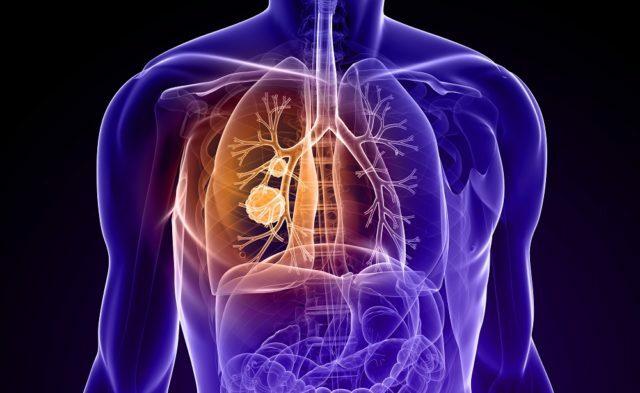 The researchers concluded that these results support the long-term efficacy and safety of the ALIS plus guideline-based antibiotic therapy in patients with treatment-refractory MAC lung disease. Winthrop K, Eagle, G, Morimoto K, et al. Extension study of amikacin liposome inhalation suspension (ALIS) for treatment refractory lung disease caused by mycobacterium avium complex (MAC). Presented at: CHEST Annual Meeting 2018; October 6-10, 2018; San Antonio, TX.